Innovation in hand-tool manufacturing and performance is ever-changing in light of modernization. 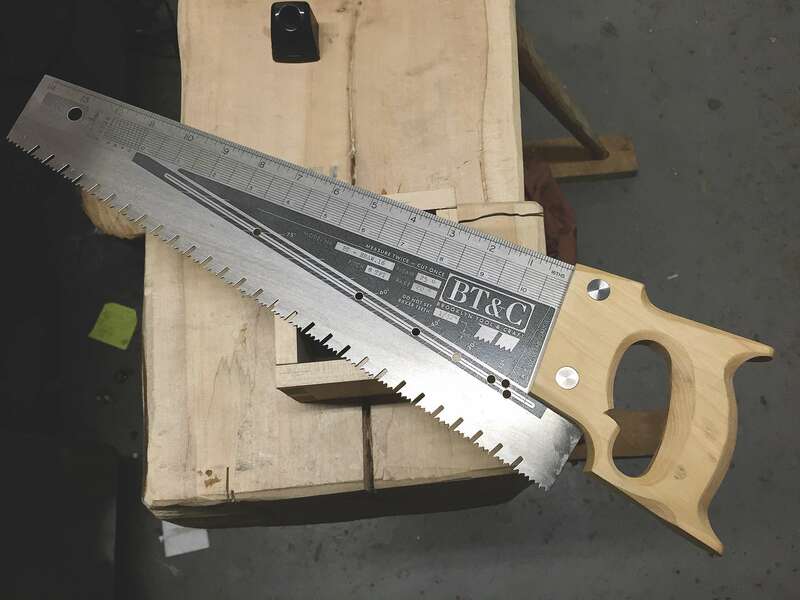 With an evergreen approach of combining the techniques used in the past, with the advantages of today, Tools for Working Wood sought a vendor located in the US that would complement an old style with new age usage for their “Hardware Store Saw” tool, part of the “Brooklyn Tool and Craft” brand. The concept was to create a versatile, durable saw reminiscent of what was found in your father’s toolbox; only with a contemporary flare. The addition of color for contrast and texture was a key element, and Switzer was to explore methods of incorporating color without added manufacturing time or cost. 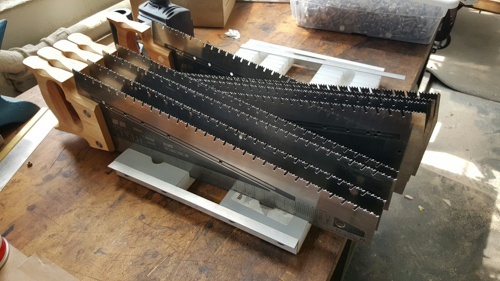 Tools for Working Wood envisioned a shagreen – or granulated surface – design texture that would allow for a mid-century modern feel in their hand saw. When etched, certain metals leave a carbon residue as it is dissolved that must be wiped clean immediately; once the carbon has dried completely, it cannot be readily removed. 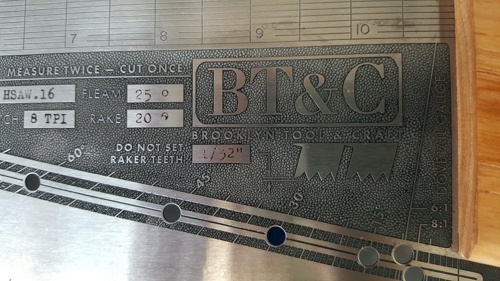 Switzer used a unique combination of conventional methods to etch the pattern, and the residual black carbon, normally considered detrimental, enhanced the aesthetic contrast - a pivotal and state-of-the-art feature of the multifaceted “Hardware Store Saw”. "Wow. Thank you for these. I certainly felt like we were taking some risks with the look and design, not to mention some new methods, and I'm certain that there are refinements yet to be made on all fronts. Still, it is wildly satisfying to see that shagreen etched in some steel after all these months of viewing it on a monitor. The etch isn't just granular, it comes in at different levels. The etch achieves foreground, middleground, and background design elements reliably and within an incredibly tight spec. The effect is stunning, and as far as we know, unprecedented. Not that you actually need our permission to say more about the awesome you wrought, but in case you were wondering, you certainly have it."